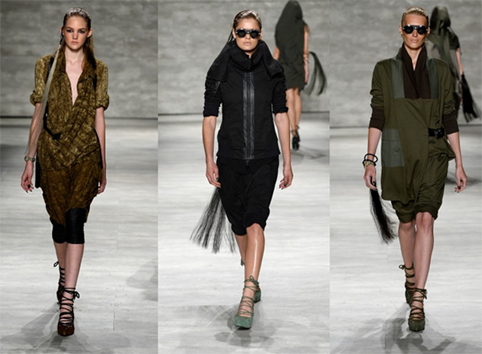 Mercedes-Benz NYFW Spring 2015 opens in New York today kicking off the global calendar of fashion weeks. So are you ready for all the fashion, the hair trends, the makeup trends and most certainly the buzz that will take over everything around you? The week long fashion frenzie will have fashion and beauty editors, bloggers, celebrities and fashionistas jetting across town to the many locations trying to squeeze in over 200 mega shows. This is also a time for the emerging talents as they use the opportunity to take advantage of the spotlight hoping to get their big break. The theme so far seems to be influenced by a variety of moods that rivals each other - masculine vs feminine, edgy vs classy, gone bad vs polished glamour, and restrained vs liberation. The result, an experience that transcend nature via rich prints and earthy textures, feminine energy via soft pastel shades, and masculinity via boxy silhouettes. Keep all your eyes locked on Nicole's Lifestyle Lounge, the Brand & Style GPS, and our social media profiles, as I bring you the latest round up of NYFW Spring 2015.